Angry Bird came into much limelight as a puzzled video game. From kids to adults everyone loved angry birds. After which various angry bird series and movies also came that grabbed many eyeballs of younger generation as the perfect source of entertainment. Sooner, the character, red angry bird became very popular and was being customized in boxes, pens, pencils as well as other personalized gifts items. 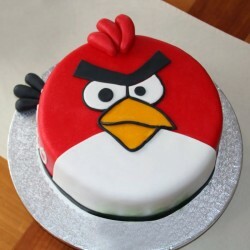 And the most favorite one of all time for kids have become Angry Birds Cakes. 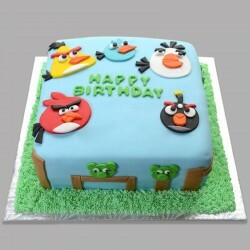 These scrumptious, lavishing angry bird themed cakes have immensely become very popular from past few years among kids and often many people tend to choose this cartoon themed cakes for their naughty kid’s birthday party. 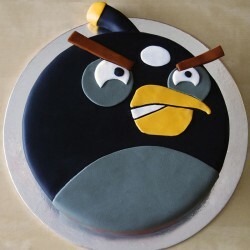 You can order this wonderful angry bird cake of different flavor from MyFlowerTree at nominal charges. Is the little one, you know is hot headed? Or he/she often gets angry when you do not fulfill their each and every demand? Then it’s time to gift them, Angry Bird Cakes online. This particular themed cake is enhanced with all the essentiality to turn your lovely kid’s birthday party into an interesting one and bring a joyous smile on their face. The delectable cakes will not only make your kid happier but will also enhance appearance of the entire themed party. 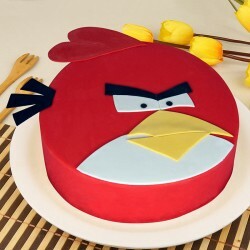 If your friend gets angry too often, then sending delicious angry bird cake to him/her will definitely make him smile and also reduce their anger with your sweet gesture. You can choose rich cream based, highly luscious and most scrumptious angry bird cake from MyFlowerTree to create humor and happiness in the party. When the party mode is on, nothing can beat highly appetizing cakes with funniest themes. 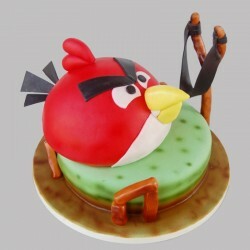 So go for an ultimate Angry Bird Cake and enjoy its evergreen sweetness. 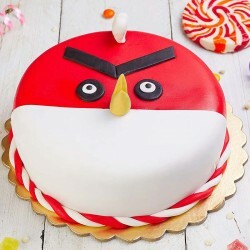 Now you can send furious angry bird cake, appealing angry bird cake, appetizing angry bird cake, and addictive angry bird cake all of different flavor as per your preference from one and only MyFlowerTree. You can get this wonderful cake delivered to any city, at any time with our customized delivery option. 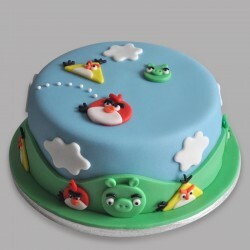 If you want delicious angry bird cake to be delivered on the same day, then go for same day delivery option. Along with the wonderful cake, you can also go for several gift items to give your dear one a cheerful surprise. So be it, a naughty kid you know, or your own little one or even any of your adult friend, you can surprise them with this wonderful angry bird cake from MyFlowerTree and capture their wide smile in your heart forever.